India’s first true pop star. 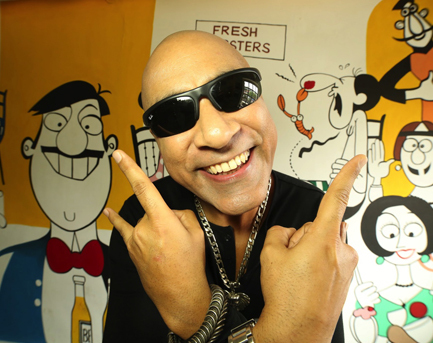 India’s first rapper. 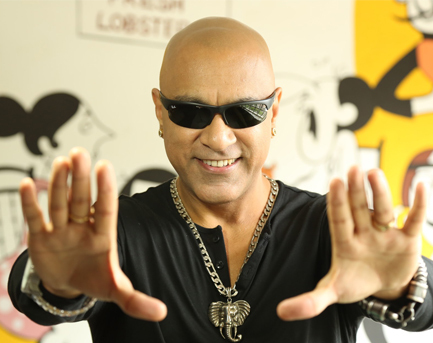 Meet Baba Sehgal. Composer, lyricist, humourist, producer and actor to boot. His multi platinum album ‘Thanda Thanda Pani’ in 1992 launched him to superstardom and since then he has gone from strength to strength. Baba embraced the digital medium in 2015 and has had over 20 singles out with ‘Going To The Gym’, ‘Chicken Fried Rice’, ‘Aaloo Ka Paratha’ and ‘Rihanna O Rihanna’ becoming colossal hits. Baba was also the first to mix Hindi and English words and crazy humour in his songs. 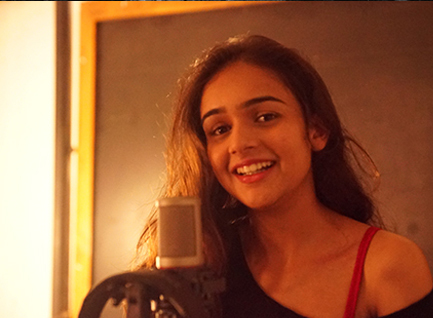 As for future plans Kaveri wants to pursue a higher formal education in music . Royal College of Music, Guildhall or Berklee are some of the institutions she hopes to head out to in the near future. 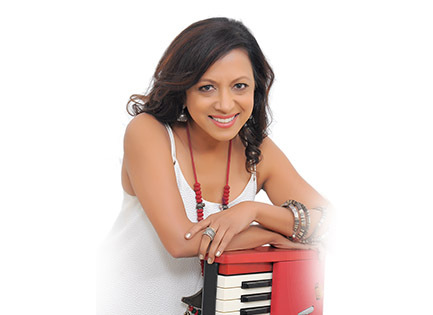 The country's leading female Composer, Pianist and Music Director, Merlin has lent her musical wizardry to productions in Theatre, Advertising, Sonic Branding, Albums, Concerts and Bollywood Films. From the Blue Note in the US, to Hennessy Jazz Ambassador, to Europe ... she continues to perform, produce and create new musical pathways. Recently Awarded by the World Leadership Inspirational Women Congress for Music. 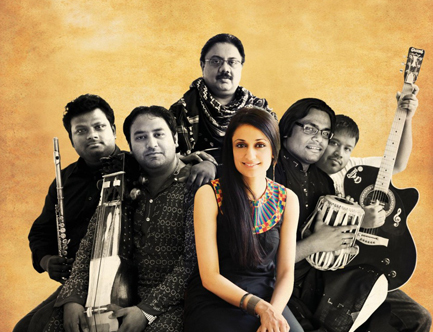 Her latest venture is Let’s Merge with Indian classical vocalist Dhanashree Pandit. Music UnLtd. 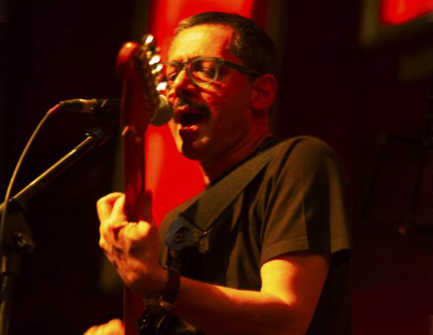 is a Mumbai-based Indie band formed by Milind Chitnavis aka ‘Milin’ in 2014 with a repertoire of original rock and pop-rock songs in English & Hindi. All the songs are composed & written by Milin. The Hindi lyrics are by Tushar Bhatia, Ibrahim Ashq and Farooque Rehman. They also perform English & Hindi cover versions of bands/artists whose music has had a lasting impression on them. 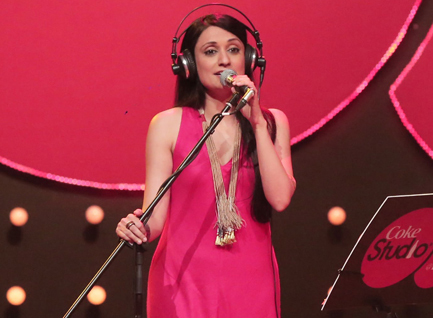 Milin is influenced by various forms of music - Alternative Rock, Mainstream Rock, Progressive Rock, Psychedelic Rock, Hindustani Classical & Semi-Classical, Indian & Western songs from their golden eras, and Western Classical. In the broad genre of Rock & Pop their favourite bands are - The Beatles, The Eagles, Pink Floyd, Jethro Tull, CS&N, Seal, Robbie Williams, Sarah McLachlan, Natalie Imbruglia, Coldplay,Steely Dan, The Verve, Radiohead and many others – the common thread running through all of them being a strong melodic content. ss They believe that original independent bands in any language are vital - if the music scene is to remain vibrant & creative. 'And then I saw her ...' on air on the 9XO TV Channel and 9XO 'Omegrown'. 'Armaanon ka sapna' on air on the InSync TV Channel of Perfect Octave Music. Currently, their song 'And then I saw her ...' is in the ArtistAloud Top20, and Live on Wynk. Their songs are playing regularly on Radio City Freedom @ Planet Radio City. Milin was on air with Teejay Sidhu on 94.3FM RadioOne on 14th,Jan,'16. 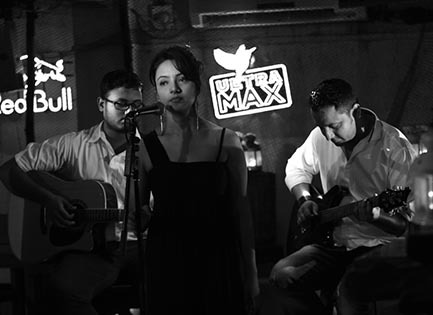 Nishtha is a singer songwriter born and raised in New Delhi. She started singing at an early age and went on to study music at the Berkley School of Music. 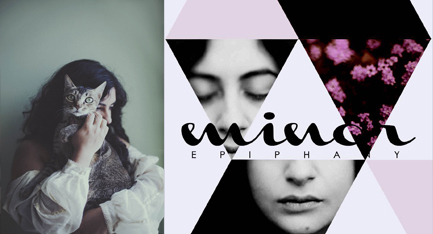 Nishtha released her debut album “Minor Epiphany” in February 2016. Renowned producer Saibal Basu, recorded and mixed the album. There are three singles out from ‘Minor Epiphany’, ‘By Your Side’, ‘Wasting My Love’ and ‘Stones In Vain’. Angaraag Mahanta, better known as Papon to his fans, is a multi instrumentalist, vocalist, composer and producer who has become one of the most sought after voices in the music industry. The son of famous singers, the late Khagen Mahanta and Archana Mahanta, Papon grew up strongly influenced by the folk music of Assam but also discovered traditional songs from across India. Those influences, fused with western arrangements, have given his music a unique, identifiable sound. 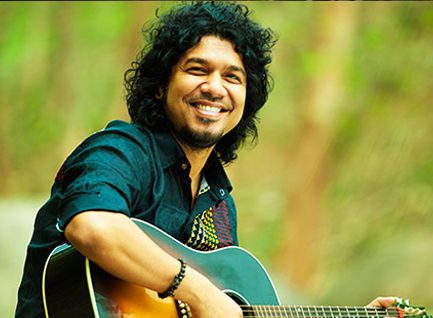 Known today for his Bollywood hits, notably ‘Kyon’ and ‘Moh Moh Ke Dhaage’, Papon has been the toch bearer for non film music as well, whether being a staple on Coke Studio India across seasons, collaborating with different artistes for The Dewarists or producing MTV Unplugged, to his folk and fusion albums like ‘The Story So Far’ and the self released ‘The Story Now’. 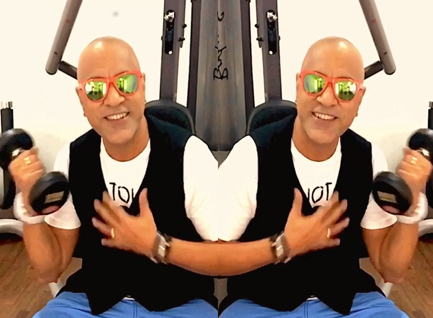 Justin – Uday have been in the music industry for over 25 years, composing music for television commercials for some top brands in our country & also few prestigious Incredible India Campaigns. They have also composed music for the hindi and regional film industry. They were nominated as the best debutant composers for film "Hijack" in the year 2009 by Stardust and Radio Mirchi. 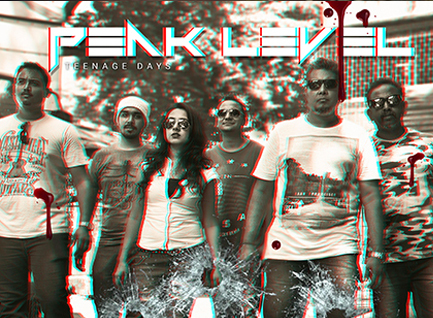 Justin & Uday formed the music band Peak Level with a team of some of the finest new talents in the music industry. Their first release “Teenage Days” has crossed 10,000 views on youtube. 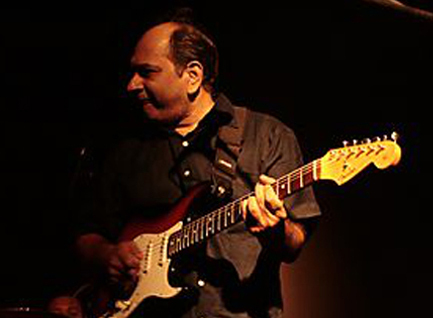 Sanjay Divecha is a composer and guitarist. 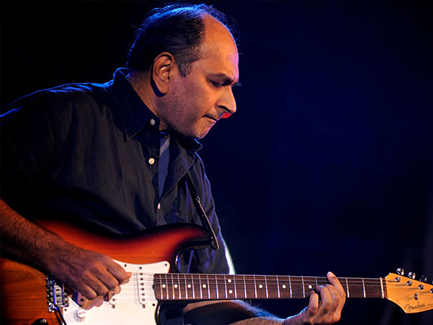 Sanjay graduated in 1989 from the Guitar Institute of Technology. In 2007, he released his album "Full Circle", an autobiographical portrait of a musician who has returned to his Indian roots without forsaking the invaluable musical experience afforded to him by the West. 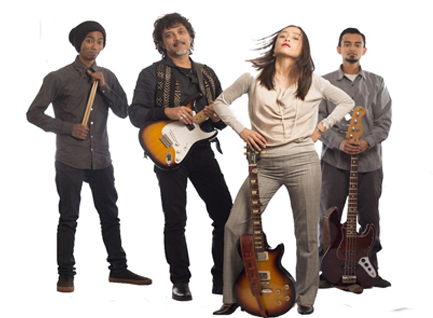 The track "Naino Sey", featuring Kailash Kher, was picked up by Putumayo for their "India" compilation. 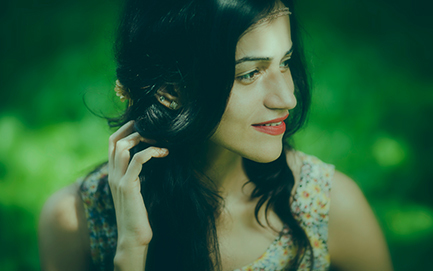 Sonam Kalra is a singer song-writer known for her rich, powerful and sensitive voice. 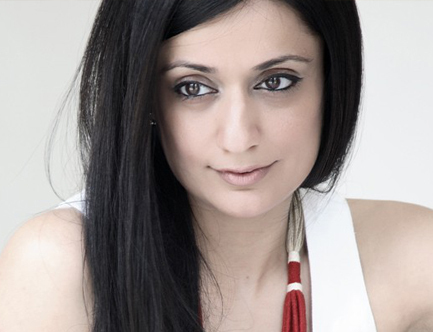 Sonam has conceptualized and developed the Sufi Gospel Project - a unique effort to blend all the voices of faith through the use of song and the spoken word. The Sufi Gospel Project has one album out currently, has done one song ‘Man Manam’ for Coke Studio India and it’s single ‘Bol’, based on the poetry of Faiz Ahmed Faiz was a song about speaking out . More songs are slated for release when the band gets a break from its hectic domestic and international touring schedule! 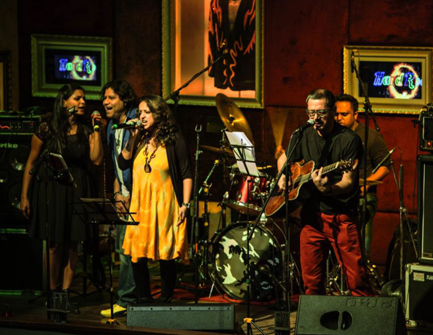 Soulmate is India's premier blues rock band. 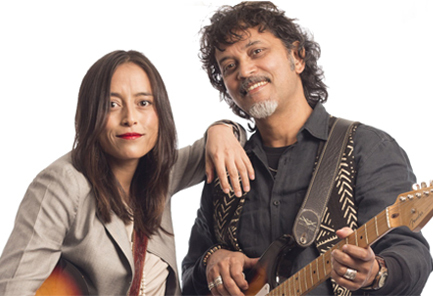 A four member group, it is fronted by the versatile Tipriti Kharbangar and Rudy Wallang, India's foremost blues guitarist. Hailing from Shillong in North East India, Soulmate has released three albums so far and have played with the likes of Carlos Santana and Buddy Guy. 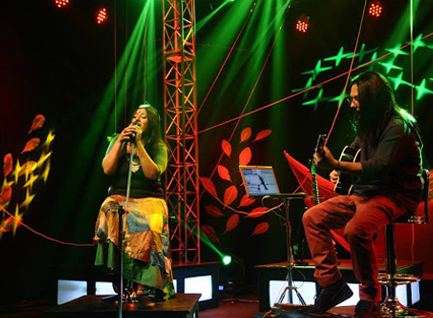 Coke Studio MTV Season 4 launch performers, ‘Sukanti & Anushree’(S&A), hail from Kolkata, India. 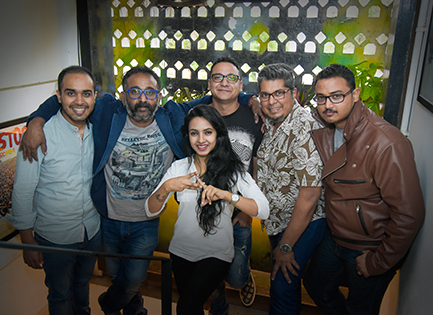 Their debut album titled ‘Ashmaan’ comprising eight original compositions was nominated as ‘Album of the Year’ by Radio Mirchi Music Awards 2014. S&A's second album titled ‘Centurion Relay’ released in October, 2015. Through this album, the duo pays tribute to the rich heritage of folk music from the Indian subcontinent blended with new age Electronica. Sukanti & Anushree borrows from tradition to create a contemporary sonic landscape that takes the listeners through a thousand moods. Driven by soulful originals, the S&A fuses earthy rustic world folk from various parts of South Asia covering Sindh Punjab, Rajasthan, Bengal, Gujarat, Assam, Nepal; middle-east covering Algeria, Egypt and more with an Electronica backdrop creating a psychedelic experience; the search delves deeper every day. They refer to their signature sound as 'Earth Electro' . 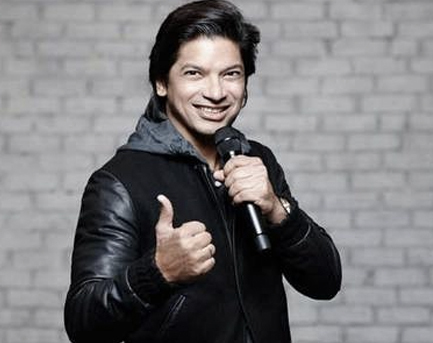 Shantanu Mukherjee (born 30 September 1972), known as Shaan, is an Indian playback singer active in Hindi, Bengali, Marathi, Urdu, Telugu and Kannada films and a television host. 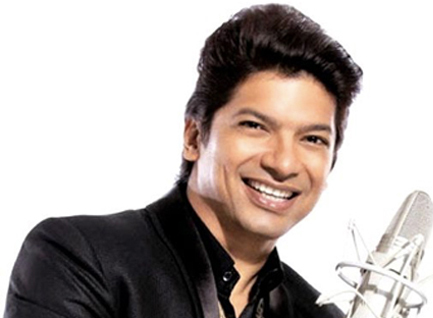 He hosted the shows Sa Re Ga Ma Pa, Sa Re Ga Ma Pa L'il Champs, Star Voice of India and STAR Voice of India 2. Trained in Indian classical music at a very young age, Vasuda Sharma is one of the few independent artists who stand out in the Indian music industry. 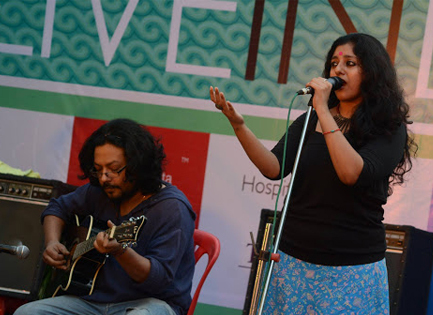 Formerly remembered for her stint as the youngest member of India’s first millennial pop band Aasma, Vasuda today stands as an individual artist who’s way more conscious of the medium. Fueled by her passion for music and several years of composing her own tunes, she decided to further her musical education at the Berklee College of Music in Boston. 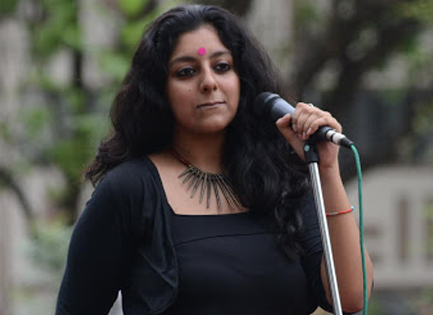 She has since bridged the worlds of Indian classical and folk with western contemporary music, creating a sound which she believes has ample scope to evolve in the future. More than a decade later since Aasma, Vasuda still lingers in the minds of music lovers across the country. Her debut album ‘Attuned Spirits’ which featured Indian raag elements with an essence of rock was one the country’s’ first ever crowd funded music projects. 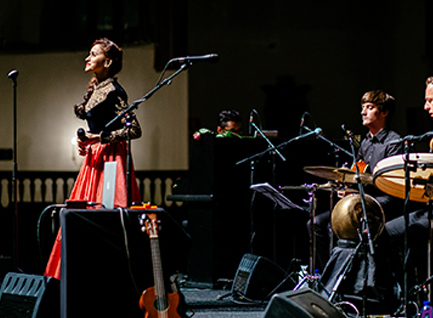 The album was partly recorded in Boston and partly in India, using multiple instruments and featuring multiple musicians from all over the world. The results were more than gratifying, making her the biggest crowdfunding success story for Indian alternative music so far. 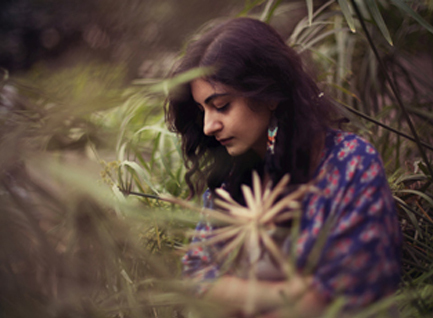 Vasuda loves to experiment with new genres and sounds, her experiments led her to become a self-taught live looping electronic artist, a rare feat for a solo female artist in India. 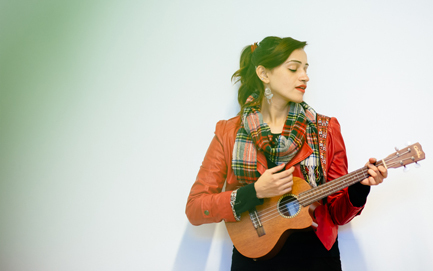 Sharma also plays at various festivals with her newly formed band “Sharma & The Besharams” She is in the process of recording her EP with the band soon. 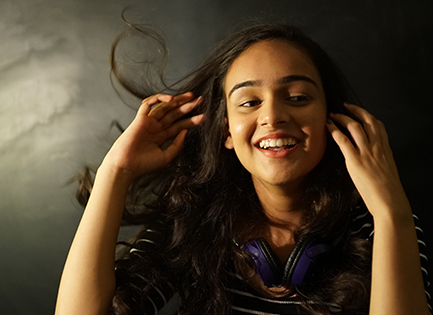 Vasuda is all set to launch her new live act called “Miss V” in which she plans to showcase the electronic production side of her musicality.The music is essentially Electro- Pop with bits of Soul and RnB that you would witness in her singing,plus some vocal looping alongside.